New York legend Bobby Robinson passed away on Friday, January 7th. This is one of the 45s I picked up at Bobby's Happy House that cold January day almost three years ago when the corporations closed it down forever. I have no clue who Ricky Lewis was (or The Afro Band, for that matter), but hidden gems like this illustrate what a great producer Robinson was. "Originally from Union, South Carolina, Robinson settled in New York just after World War II. He opened a record store on 125th Street in Harlem, a couple of doors down from the Apollo Theatre, in 1946. Along with his brother Danny, he soon became a fixture in the neighborhood, and was on a first name basis with the performers and music industry types that hung around the Theatre. In the liner notes for the now out-of-print The Fire/Fury Records Story, Bobby goes on to say "I also got to know the fellows who had their own record labels. I remember spending a lot of time with Ahmet Ertegun and his partner, Herb Abramson, when they founded Atlantic Records. They would come up to the store and ask me for advice." In What'd I Say, Ertegun (pictured here with Robinson and Clyde McPhatter around 1954) says that he used to give Bobby 25 free copies of their releases if he agreed to play them on his outdoor speakers. As Atlantic's records began flying out of the store, Bobby soon decided to start his own company. Ertegun told him "Listen Bobby, you are making such a mistake. You've done so well out of the record shop, you're going to sink all your money into this ridiculous idea. Please, please don't do it..."
Robinson didn't listen, of course, and started up his own Robin label in 1951. That was soon replaced by Red Robin, and a succession of others that were run by Bobby, Danny or both. 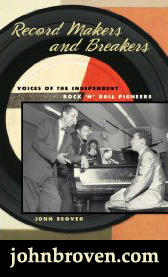 Local Doo-Wop and Jazz releases on Whirlin' Disc, Holiday, Everlast, Vest and Fling would follow, and the records sold well locally. 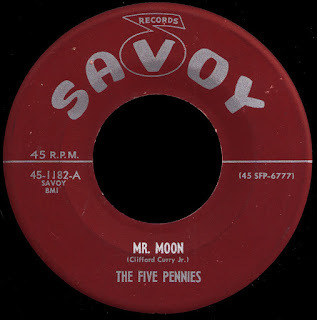 Bobby longed for national distribution, however, and made a series of bad deals that caused him to close down most of his original labels in 1957. He would start up Fury Records (and its accompanying Fire Publishing Company) later that year, and business continued as usual. As we mentioned last month, Bobby hired a young southerner named Marshall Sehorn as his new A&R and promotion man in 1958. 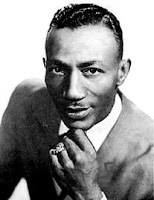 It was Sehorn that brought in Wilbert Harrison to record Kansas City at the Bell Sound Studios in New York in March of 1959. The record just took off, going straight to number one on both the R&B and pop charts while selling over 4 million copies (something Ahmet Ertegun had yet to do with Atlantic), and Bobby was on top. Only it didn't last. Harrison was already under contract to Savoy Records (although he neglected to tell Robinson that) and they sued him for a million dollars. Although they eventually worked it all out, Bobby was unable to release a timely 'follow-up' record on Harrison, and he never charted again. Undaunted, Robinson took the name of his publishing company, and started up a new label at that point so he could continue to record. 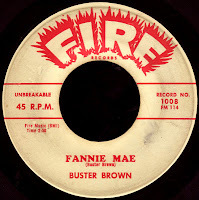 He would hit the #1 R&B spot again in early 1960 with Georgia transplant Buster Brown's smokin' Fannie Mae (Fire 1008). He would go on to record classic Blues records by people like Arthur 'Big Boy' Crudup, Sam Meyers, Lightnin' Hopkins and Elmore James (James even cracked the R&B top 20 that year), while making it to #1 once again with the amazing Bobby Marchan's There Is Something On Your Mind. The Savoy lawsuit was finally settled in 1961, and Bobby was able to fire up his Fury label once more. 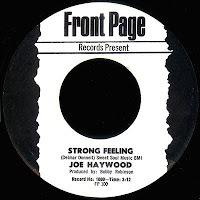 One of the first artists he recorded was a recent high school graduate from Georgia who, along with her brother and two of her cousins, made up Gladys Knight & the Pips. The great Every Beat Of My Heart had been released on the small Atlanta based Huntom label first, but Bobby flew Gladys and the Pips to New York to re-record it. 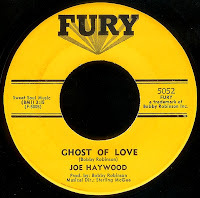 After the song began to hit, Vee-Jay records in Chicago leased the original master from Huntom, and with their superior distribution network, took it to #1 R&B (the Fury single stalled at #15). Bobby sued this time, and the courts forced Vee-Jay to pay him a nickel for every record they sold. Not bad (the white guy in the above photo is Marshall Sehorn, by the way). We've already spoken about the circumstances regarding the label's next #1 R&B smash, Lee Dorsey's Ya-Ya. Sehorn and Robinson's southern connections were paying off big time as the record even broke into the pop top ten. His next big chart successes were to come from closer to home, however. Small's Paradise was a legendary Harlem nightspot located just ten blocks from his record store, and Bobby was a regular. 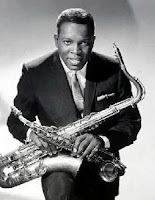 In 1962 he made a bet with the saxophone player in The Noble Knights that he could deliver him a hit. 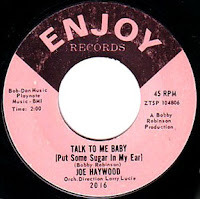 He started a brand new label called Enjoy just for that purpose, and its very first release took King Curtis all the way to #1 R&B with Soul Twist. 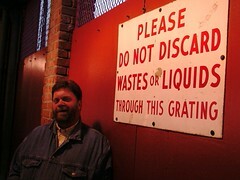 Curtis had lost the bet, and so had to sign a contract with the new label. The house band at Small's featured Don Gardner on drums and Dee-Dee Ford on keyboards. Bobby heard them singing an incredible song called I Need Your Lovin', and put it out on Fire in the summer of 1962. It coasted to #4, and the follow-up Don't You Worry broke into the top ten as well. 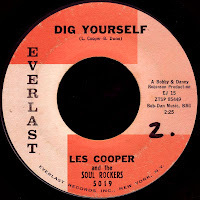 Robinson would close out the year with Les Cooper And The Soul Rocker's #12 smash Wiggle Wobble on his Everlast imprint. I'm not sure what happened at this point, but Bobby's chart days all but dried up. In Jeff Hannush's great I Hear You Knockin' he says that "By early 1963, Robinson's labels were in financial difficulty. One of Robinson's silent partners, Fats Lewis, pulled out of the operation just as a major deal with ABC was about to consummate." Sadly, as we've seen, this is no longer true. From Doo-Wop to Hip-Hop, Bobby Robinson has been an integral part of the New York music scene for over sixty years. What will it take to get myopic institutions like The Rock & Roll Hall of Fame, and (amazingly) The Rhythm & Blues Foundation to sit up and take notice?" But too late, as so often. 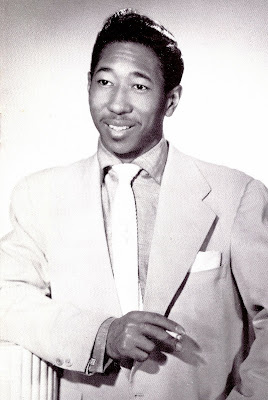 I was really surprised to find out that Bobby Robinson hasn't been inducted in the Rock & Roll Hall of Fame already. Other R&B producers like Art Rupe (Specialty), James Stewart (Stax), John Hammond (CBS), Leonard Chess (Chess), Jerry Wexler & Ahmet Ertegun (Atlantic), Berry Gordy (Motown) are. Robinson certainly deserves his place among these gentlemen. Wow! Great post shedding light on so many records I have loved over the years, but never connected the people behind them. He remind me of another producer in Jamaica, Sir Coxsone Dodds. They did great for the music, but their method need more to desire. Yes, a lot of these early R&B guys took advantage of the fact that the artists they represented were often poor and didn't know any better. Most were happy to just see their name on a record. 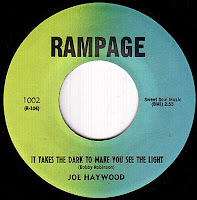 I think that suicide story that you hear all the time arose from the fact that Bobby claimed authorship of a song that Joe Haywood wrote, which later became a hit for Percy Sledge, "Warm And Tender Love". We have been focusing on Joe over at Soul Detective, and we have found out that he didn't commit suicide, but rather died a slow and painful death as a lonely man with a broken heart... which may indeed be worse. Be that as it may, I still think that Bobby Robinson should be given his due as a seminal figure in the development of R&B and Soul. Did you notice that, during that whole 'Farewell' segment at the Grammys last week, he was not mentioned? That HAD to be on purpose, and I believe that's wrong. You can't re-write history, and Bobby Robinson, like him or not, was just that. Groovy Write ups!Stax has a beautiful box set you should check out! 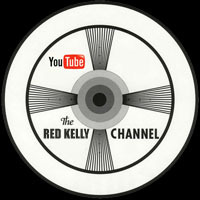 I welcome you to check out my blogs.